A little twist this fortnight to make us work a bit harder LOL. Image transfer of the girls from some PP. A little stamping with a part of a letter stamp from Artemio. Stencil: Tando Creative; Baroque and TCW. Acrylic paint and distress ink. Sweet Stampin - shabby Chic.. Such a stunning poject. Thank you so much for joining us this week at TPC Challenge. Beautiful creation! Glad you joined us this week at Sweet Stampin' Challenge. 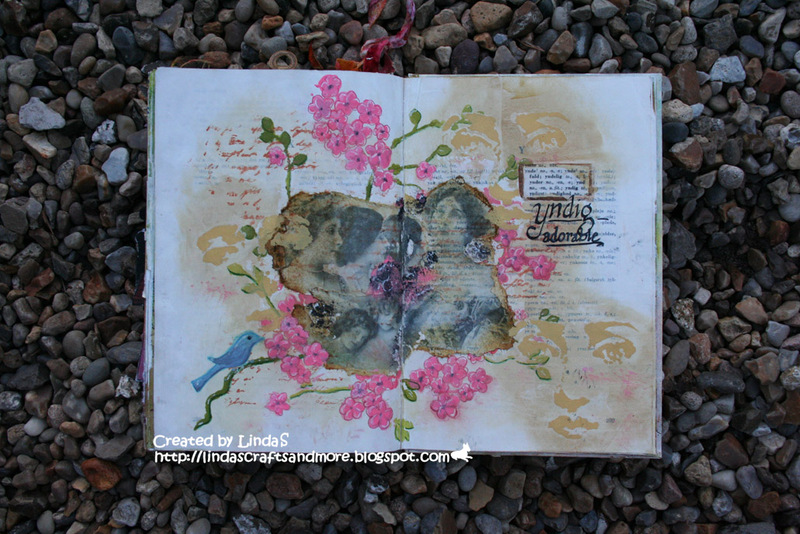 Linda you have created a lovely vintage feeling page.It reminds me of my grandmothers old photo albums with the embossed frames.I see you are trying out new techniques with the transfer syetem.Congrats on being the winner - I'm sure you will have no trouble spending the voucher. A lovely page depicting your chosen word.